Showcase for Commerce 2017 – Next Week! The 27th annual Showcase for Commerce will be held May 30 through June 1 in downtown Johnstown. As always, there are great opportunities for developing relationships with decision makers at all levels over the 3-day event. This year’s Government Acquisition Leaders Briefings speakers include: Congressman Rob Wittman; Brigadier General Brian P. Cummings, PEO-Soldier; Brigadier General Anthony J. Carrelli, The Adjutant General of Pennsylvania, PA Army and Air National Guard, and Major General David Bassett, PEO, Ground Combat System. Showcase for Commerce 2017 – Join Us! Showcase for Commerce 2017 is just around the corner — May 30 through June 1. As always, there are some great opportunities for networking, education and to learn about the capabilities of other businesses. This year’s confirmed Government Acquisition Leaders Briefings speakers include: Congressman Rob Wittman; Brigadier General Brian P. Cummings, PEO-Soldier; and Brigadier General Anthony J. Carrelli, The Adjutant General of Pennsylvania, PA Army and Air National Guard. Additional speakers will be announced as they are confirmed — stay tuned! BCL Manufacturing hosted the JARI PTAC’s Spring 2017 Government Business Development Forum on Tuesday, May 9th. 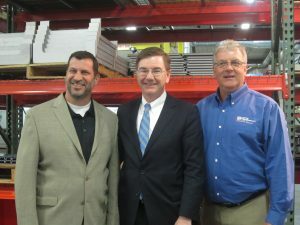 Congressman Rothfus, along with 40 others, attended this networking event and learned more about BCL Manufacturing as well as Great Dane Powder Coating, a BCL supplier. Attendees were able to network with local company CEOs, business owners and business development specialists to share their capabilities. 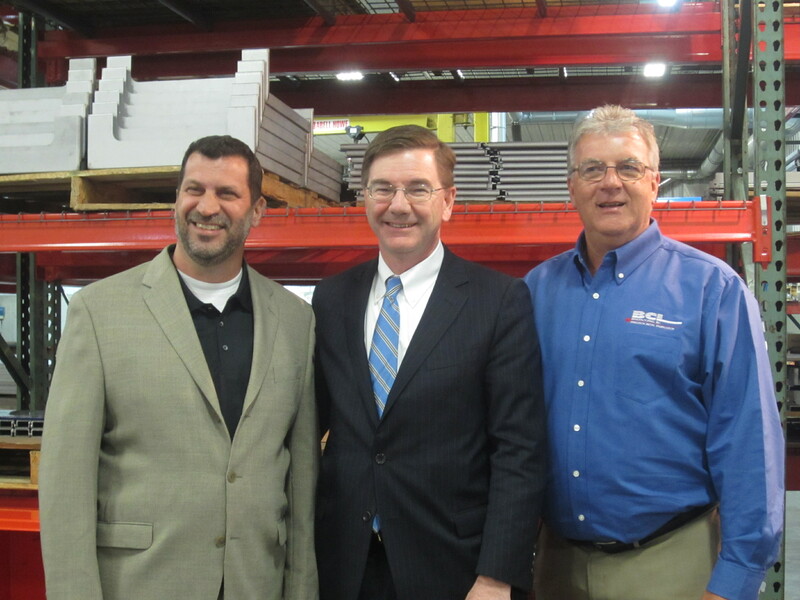 BCL also gave a tour of their state-of-the-art facility. 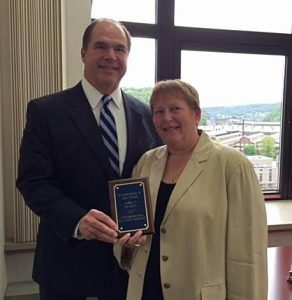 Kevin Volk of Northwest Bank and Jim Huerth of AmeriServ Financial were recognized recently for their service on the Johnstown Industrial Development Corporation (JIDC) Board or Directors. 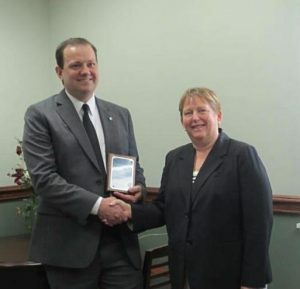 Both Volk and Huerth served on the board from 2011 through 2017. A big thank you to Kevin and Jim, and the current and previous JIDC Board members! On Tuesday, May 16th, Lynn Rovan, Barnes Saly & Company, will be presenting information on payroll taxes and deductions, what forms are needed when hiring an employee and the current withholding tax rate. Attendees will also learn about quarterly and annual payroll tax reports and recording payroll transactions in a book keeping system. This Lunch & Learn will be held at the JARI Center (160 JARI Drive) from 12 to 1:15 PM. The cost to register is $5 per person and lunch will be provided. The Cambria County Job Fair was a resounding success! Over 500 job seekers had the opportunity to meet with 76 businesses offering around 500 positions. Job seekers also said they were happy to see a variety of employers with many different job opportunities available in our region. Many thanks to the sponsors and in-kind contributors for their support and to the Job Fair Committee for their hard work in planning and executing this event. to view the job fair program with the a list of employers and job openings, click here or visit our website. Thank you to the Job Fair Committee!